SCES has established a group for parents from across the Dioceses in Scotland to promote the active involvement of parents in their children’s education in faith. A number of resources have been developed to support parents in their family settings and to assist the work of Parent Councils in Schools. 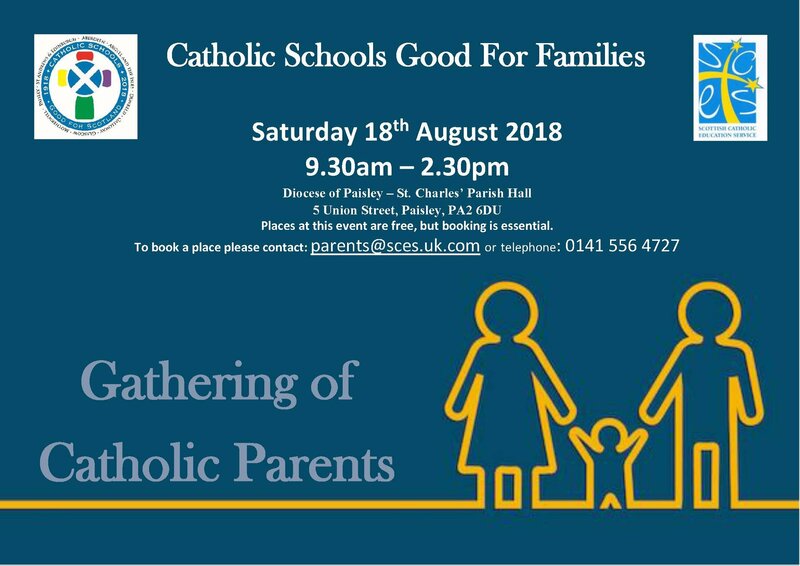 The “Gathering of Catholic Parents”, which is open to all parents with children in Catholic schools, takes place on Saturday 18th August from 09.30 am—2.30 pm in the Diocese of Paisley, St Charles’ Hall, 5 Union St Paisley PA2 6DU. Places are free but booking is essential. Contact : parents@sces.uk.com Any parents attending this event might see video footage of some pupils from St Columbkille’s asking and answering Questions about God.